Structural Innovations has performed residential designs on a number of single family and multi family structures. Our multi-family experience includes conventional wood-framed structures supported by concrete mat foundations, wood framed structures supported by concrete podium slabs, and post-tensioned concrete structures. Through much of the 2000’s, the trend in both mid-rise and high-rise residential focused on post-tensioned concrete structures. Our structural engineers had the privilege to work on a number of these projects in the Charlotte and Florida markets. However, shortly after the economic downturn in 2008, the trend in mid-rise residential switched to wood framed structures. 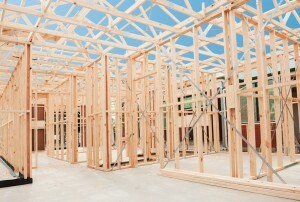 Wood framed construction has exploded in recent years because it is a cost effective, time effective and green alternative to achieving higher density residential complexes. The short lead time to acquire the materials necessary along with the ability to quickly erect a wood framed structure contribute to the overall reduced construction time for a project. The ability to quickly bring a project to completion to take advantage of market conditions has driven wood to the forefront of mid-rise residential construction. A further benefit of wood construction is that is often considered a green alternative to conventional steel and concrete structures. It is a well-known fact that trees absorb carbon during their growth cycles; this ability to absorb and store carbon and prevent it from being released into the atmosphere helps to reduce the carbon footprint of wood structures. Structural Innovations expertise and experience with both concrete and wood-framed construction is well-suited for any residential project you may be considering.